Want to learn the Secrets to Grilling the Perfect Steak? 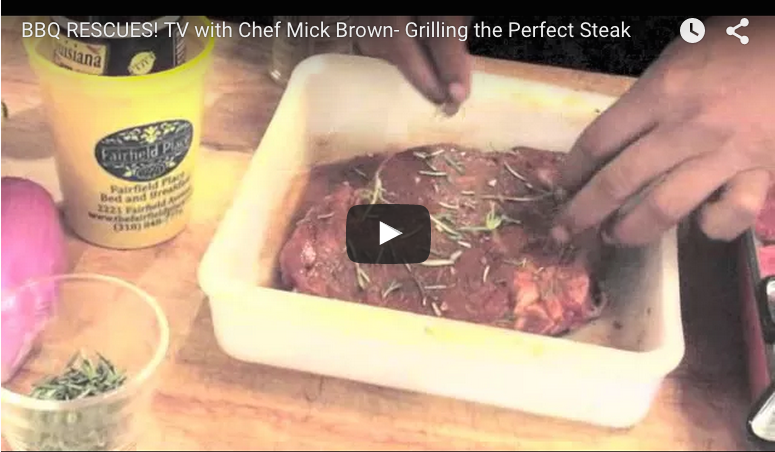 Join Chef Mick Brown as he helps break in a new Gas Grill with Chef John Cariere at Fairfield Place Bed and Breakfast in Shreveport, LA. Tips for using BBQ Rubs, Gas Grill Smoking with Hobo Pouches & More.